Happy New Year! Quick, whip yourself up a Bloody Mary, pop a Berocca, and then settle down to read this post while your hangover wears off. Today, I’m talking New Year’s Resolutions—and no, I don’t mean “I’m never drinking again” (though seriously, I’m never drinking again). I’m talking about my 2016 reading challenges. I’m not going to set myself a vast amount of books to get through this year, because it’s too easy to “cheat” by just reading the shortest books I can find. Instead, I’ve gone for resolutions that should genuinely enrich my reading experience. My 2016 reading challenges are also based on resolutions to make my life a little more low-stress, and focus more of my energy on blogging, which I love doing. So, starting today (or maybe tomorrow, when this monster hangover has worn off…), here are my New Year’s reading resolutions. I’m sure all avid readers have this problem, but I just can’t stop adding to my TBR list—and it grows a hell of a lot faster than I can get through it. As much of my work centres around reading, a massive TBR list can make me feel pretty stressed and overwhelmed—which is just plain silly, because reading’s supposed to be fun! So from now on, I’m going to be much stricter about the books that get added to my list, and I’m actually going to tackle my existing pile before I browse for any more. One of my favourite things about reading books is talking about them afterwards, so I’ve signed myself up for the 2016 Book Blog Discussion Challenge. This challenge is hosted by Nicole @ Feed Your Fiction Addiction and Shannon @ It Starts at Midnight, and encourages bloggers to host and participate in discussions about books all year round. I read the Harry Potter books for the first time in 2014, and I really enjoyed them—but I’m not sure I got as hyped as millennials are strictly supposed to. So when I was invited by Sammy Nickalls and Jess Tholmer to read the whole series again and live-tweet it with them, I just couldn’t resist. We’re starting on 10th Jan, so do join in and tweet your progress under #SiriusReaders. 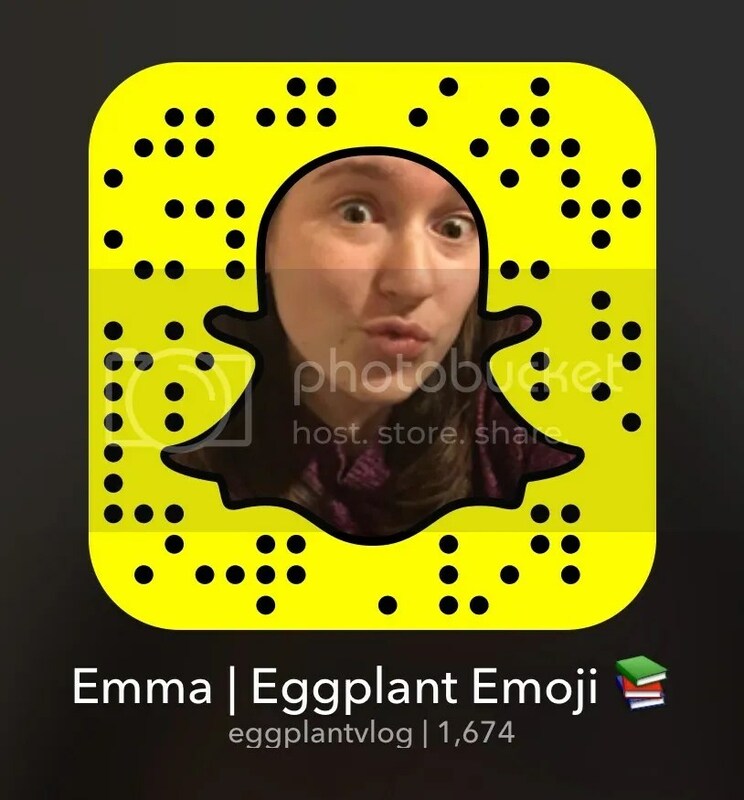 (I’m genuinely really proud of Sammy for that pun…) I’ll be posting updates here, as well as on my Twitter and Snapchat (add me: eggplantvlog), so you can follow my reading journey all over the interwebz. Last month, I read only books by BAME writers—and I loved it. In 2016, I want to make an effort to keep reading more authors of colour, even though they’re usually not at the top of Amazon bestseller lists, or my Goodreads suggested books. The first ever #BustleReads challenge looks fantastic for this: it aims to get you reading books from oft-overlooked categories, such as non-Western history, graphic novels, or Middle Eastern literature. There are 20 categories to tick off, so I’m feeling pretty confident I can achieve this one by the end of 2016! What are your 2016 reading challenges? Are you going to try any of these with me? Let me know in the comments below, or on Twitter!